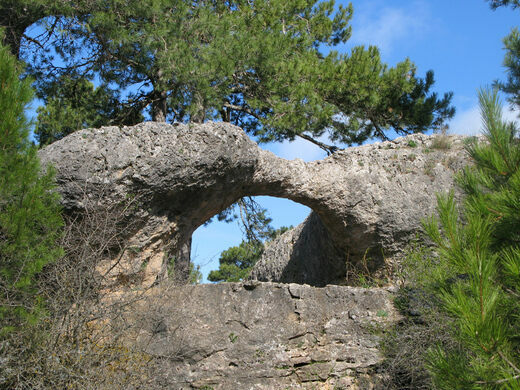 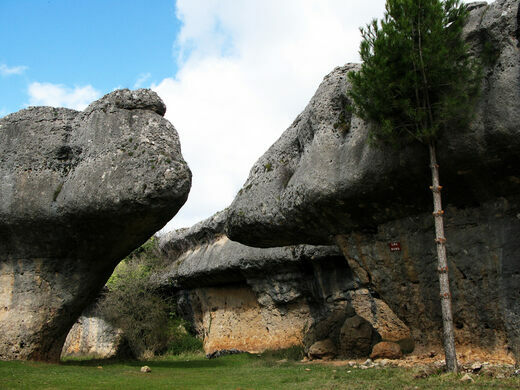 Nestled in a canyon within the borders of the Serranía de Cuenca Nature Reserve, Ciudad Encantada (“Enchanted City”) is home to a collection of rock formations that have been molded by the forces of nature to resemble an array of figures and scenes. 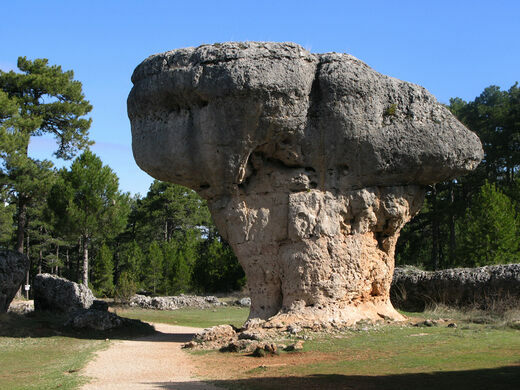 According to the official Spanish tourism website, these formations’ unusual shapes are the result of a unique mineral composition that causes the lower part of the formation to erode faster than the top. 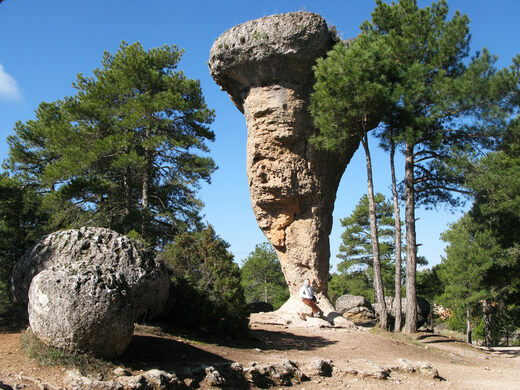 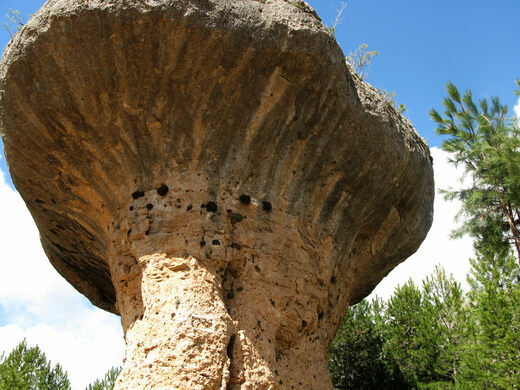 Popular attractions include the Sea of Stone, the Mushrooms, the Slide, the Lovers of Teruel, Battle of the Crocodile and the Elephant, and, of course, the Mushrooms. 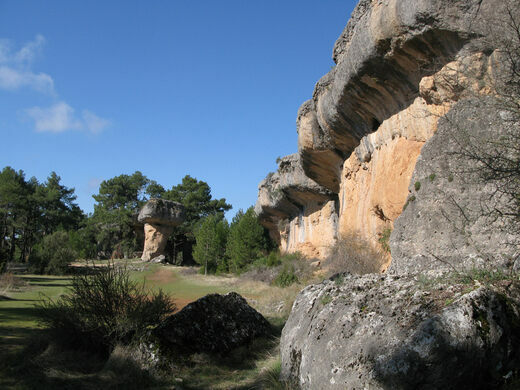 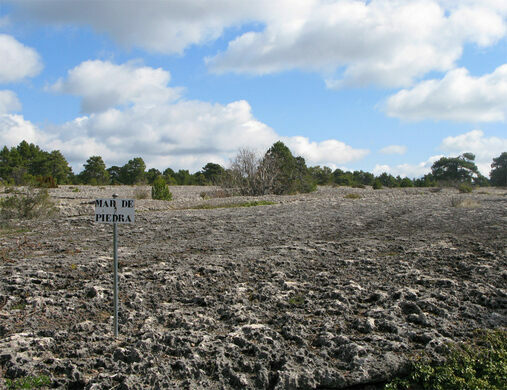 "Alleys of Stone" form natural mazes in Spanish natural park.